The ideology of categorizing people has become like a new-found hobby for new generations. Only the souls who are in touch with their inner-self and the universe know the importance of respecting people in general. Let’s not alienate people rather help them heal. Stress-related problems sprout from the experiences in the past, the pressure from your partners or family, recurrent financial problems, the baggage of responsibility. When an individual is failing to cope up with the stress, tension, depression, panic attacks, anxiety, and pressure then it escalates the possibilities of multiplying the emotions of anger, frustration, isolation, etc. This concentrated fuel of stress becomes one with the chemical solution of your behavioral patterns. Your responses are an outcome of this evident tension which has settled in and is getting out of control now. Why become a patient when you can also be a healer? Don’t worry! Yoga aims at departing ways of this unwanted friendship of your mind with the stress. Practices of Yoga include stretching, breathing exercises, asanas, meditation and keeping yourself above from the societal pressures of the world. Spirituality works as a stress buster for a troubled mind, it’s a path towards hope (a positive thought of not giving up), not religion. There is always a way to get rid of the toxic qualities in life, only the will has to be alive. You have the right as a human being to be happy. The benefits of Yoga are countless, as it brings together your mind, body, and spirit to transform you physically and mentally. You don’t have to wait to get stressed out in order to start doing Yoga! The consistency in Yoga practice with the regularity of displaying different asanas helps you to stay fit. Asanas like Uttanapadasana contributes to reducing belly fat. Stay active, re-energize yourself with Yoga. For a calm, focused and relaxed mind, you have to practice breathing exercises. Meditation and Pranayama help a great deal when it comes to sorting out your mind. When you own your breath nobody can steal your peace! If your body is the temple, then your nervous system is the baby you have to cradle. Yoga poses and other yogic exercises have a natural butterfly effect of leaving your caterpillar self behind as you gain wings through your regular practice and the constant urge to change yourself for good. Yoga gives you a new lead towards the stale thoughts you may need to reform. Replacing your stubbornness with a new outlook gives you a new perspective to look at things, situations. This is extremely beneficial as your way of dealing with people and circumstances change. Nobody likes to get admitted to the hospital and pay the heavy bills for diseases. Yoga is a great way to dodge out such possibility by keeping the body fit, healthy and disease free. Many Ayurvedic lessons can show you how an herb can become an organic medicine for you. The stress of dealing with medical problems would be negligible if you start your yoga lessons starting today. Yoga helps to maintain your balance in the workplace or personal life. Yoga gives you the liberty to hope for the better no matter the problem that you may be stuck in. Sending hope or a positive thought to the universe creates passages for you to release your stress without harming anybody else voluntarily or involuntarily. 5. Karma Yoga- helping guide and healing force. Don’t hurt your soul by hurting others rather heal your soul by healing others. Making someone else happy or becoming somebody’s support system (till the time you don’t harm your own soul), produces endorphins and neuronal signals which are transmitted to your facial muscles to trigger a smile. 6. Healthy Eating – helps the mind and physical appearance. It’s a myth that eating healthy ‘only’ means fixing your body, going on a diet or trying to reduce weight in order to look petite. Whereas eating healthy food starts to rewire your brain as your brain holds the authority to send signals and protect your body parts. It is a great way to detoxify the toxins living in your body. It’s an easy source to purify your soul from the harmful habits. Here are a few Yoga poses which can be extremely helpful to curb out the stress-related issues. Dolphin Pose (Ardha Pincha Mayurasana). Pranayama or the breathing exercises. 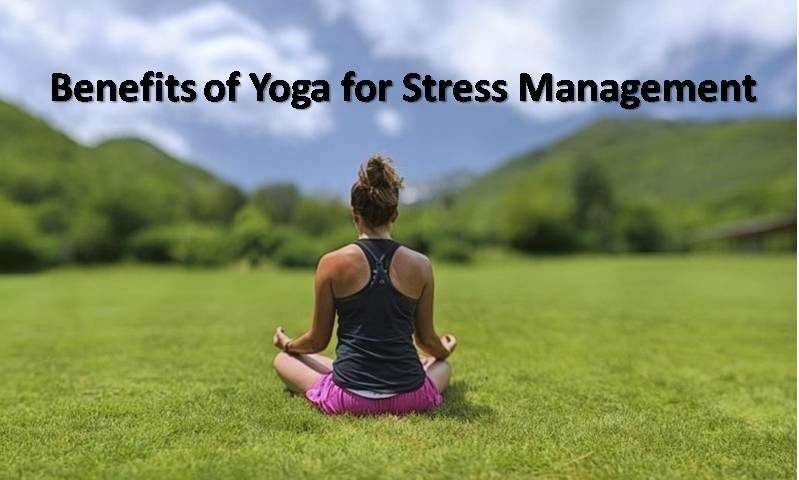 You will feel light, free, and bullet-proof from the stress if you practice Yoga on a regular basis. Be the person you always wanted to become, not a sore throat in this didgeridoo.